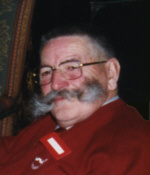 Michael Tierney was made a distinguished member of the Handlebar Club at the AGM in Lewes in 2007, in appreciation of the support and hospitality he has given to the club over many years in his various premises. He is currently the landlord of the Windsor Castle pub where the club holds its First-Friday meetings and keeps many of the club 'treasures' and memorabilia. He is a generous host who often displays the patience of a saint when putting up with the circus that often surrounds club meetings. 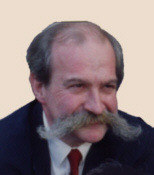 Hans Hamrin is President of the Swedish moustache club, (the Svenska Mustaschklubben) and has done much to maintain our close ties to that organisation. He was the main organiser of the 1999 World Championships in Ystad, and more recently the 20th anniversary celebrations in Rostock. Hans came to our 50th anniversary celebrations in Eastbourne in 1997 and since then he has come to England every year to attended AGM weekends. Hans and Carina live in a beautiful old house in the countryside in southern Sweden. 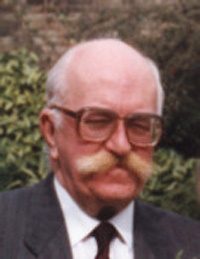 The late André Acres had the distinction of having served the Club as honorary treasurer for 30 years, from 1968 to 1998. He took over after some difficulties with the previous treasurer, and said he was only given the job because he had short legs and couldn't run away quickly! André was one of only a few members with some skill at darts, and was a stalwart of our darts team. He was the hero of our charity match against a team from "Emmerdale". André’s wife Kath lives near Sevenoaks, Kent. Ian Peak has been an active member of the Handlebar Club for over 43 years. 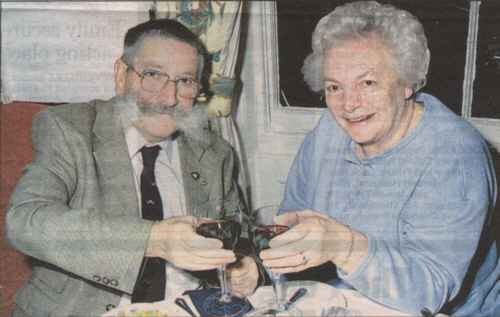 He was introduced to the Handlebar Club by fellow member Pat Cox who was reponsible for organising numerous charity cricket matches against the Black & White Minstrels team in particular. He had served in the the committee for some time when he was very much involved with a lot of charity fund raising projects such as bicycle ride to Southampton on a 10 seater. He is also a member of the Spitfire Society. Mike Solomons has been an active member of the Handlebar Club for many years, going back to the days in the early 60's when we had a regular cricket team. He has served the Club in many capacities:- secretary, treasurer, public relations, and vice-president. In fact whenever something needs sorting out Mike is usually the one who volunteers to do it, and many of our successful AGM weekends have been the result of his hard work in finding a good hotel and arranging an interesting programme. Mike and Mary live in Findon Village, West Sussex. The late Conway Chiles was made a distinguished member in appreciation of his dedicated work as Club secretary over a period of 17 years. He took over when the Club was at a very low ebb, and it is only thanks to his efforts that the Club kept going and recovered to become the thriving organisation that it is today. Throughout that time Conway produced a Newsletter which kept members in touch with what was going on, and he continued as our "scribe" writing the Newsletter in his own inimitable style for 25 years. Conway was married to Rosemary, who lives at Esher, Surrey. The late Alan Gear was distinguished as our "longest serving" member. 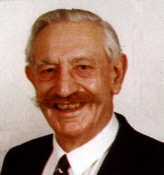 Although he was not a founder member, Alan joined the Club in 1947 and remained a member continuously until his death in 2003. He was one of "The Few", a fighter pilot who flew in the Battle of Britain. 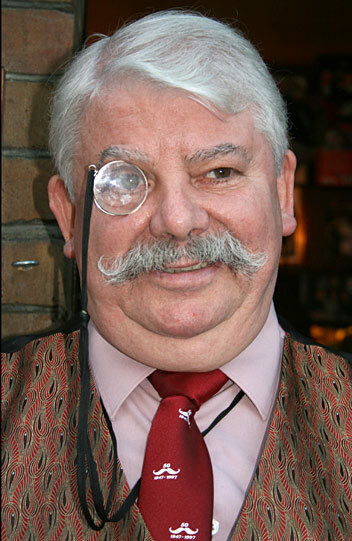 The late Sten-Erik Molker was a member of the Handlebar Club for many years. He started up a Club "Nest" in Sweden, and went on to found the Swedish moustache club, the Svenska Mustaschklubben. Despite many health problems in later years he always remained cheerful, his saying being, "It could be worse!"